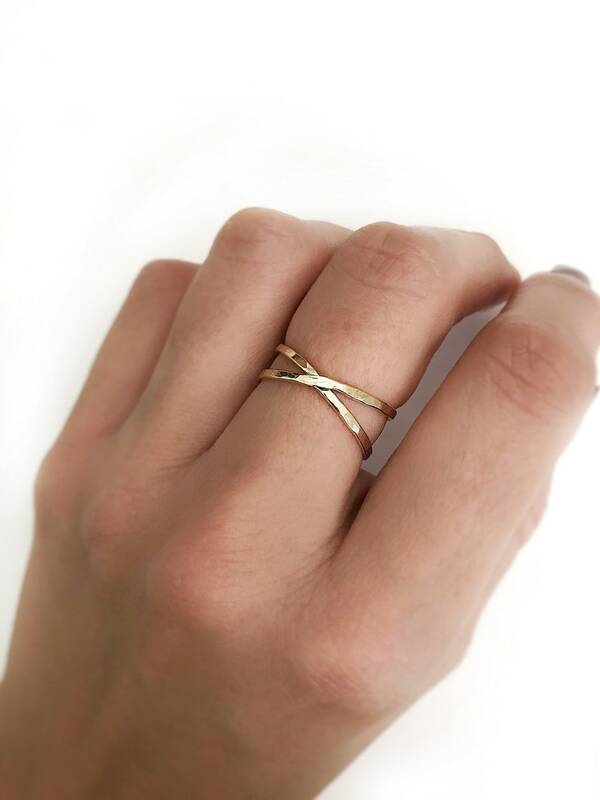 Dainty gold ring completely handcrafted. It is made of 14K gold filled, 14K rose gold filled or Sterling Silver you can select your favorite material. Is full hammered to give a spectacular sparkle that really shines. This ring is so gorgeous. I was looking for something simple that could be worn every day. This piece fit the bill perfectly. I have been wearing it every day since I received it. It arrived on time and well packaged too.